We need individuals or families (with teenage children) to serve as Family Liaisons, a volunteer role that serves our families in need through mentoring relationships. Family Liaisons will mentor one-on-one and help set and achieve goals to improve their lives. This role requires a 4-6 hour a month commitment from September-early June. If you are interested, register as a volunteer on our website! Sign Up HERE to help us pack backpacks and essentials baskets on Sunday, August 19th at 12pm. The packing event will be held in the mini-gym at Providence Day School. Can’t make the event but want to contribute? We are in need of more middle/high school backpacks. Shop from our Amazon Wishlist and the items will be shipped directly to us, or contact us for locations you can drop off items you purchase! *Alpha Theory for hosting a second donation drive! Their employees donated school supply items totaling over $500 in donations! *Spectrum, Strategic Tax Division, for hosting a second donation drive! 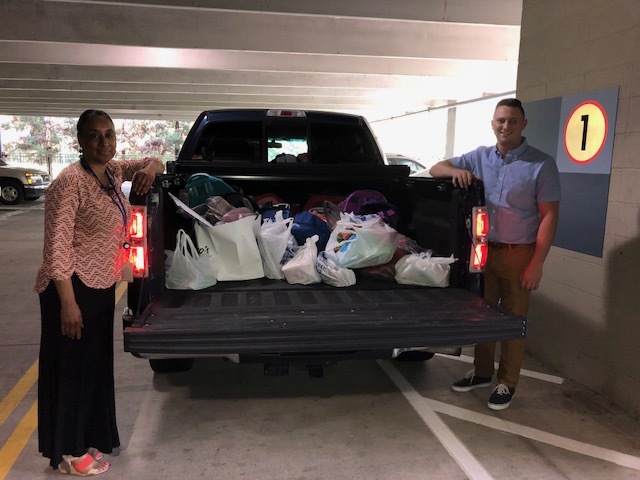 Their employees collected over 30 backpacks and school supplies to fill each! We are pleased to announce the release of our inaugural year Annual Report! 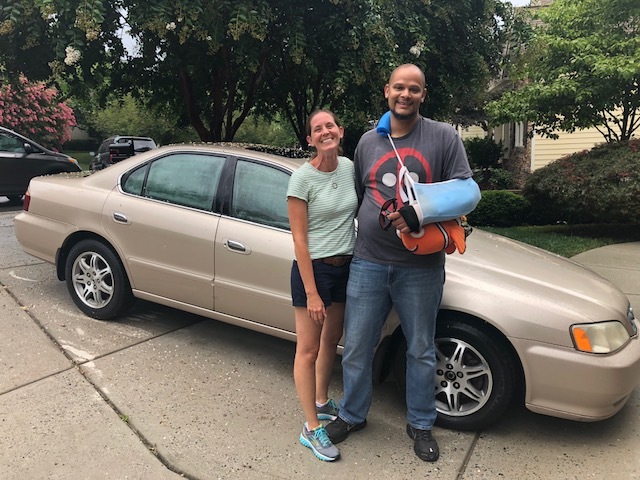 Derrick and his family had been without reliable transportation for several years until a generous friend of Families Forward Charlotte donated a used car to us. This donor, who wishes to remain anonymous, has impacted Derrick’s life as well as the lives of his wife and three children immeasurably. 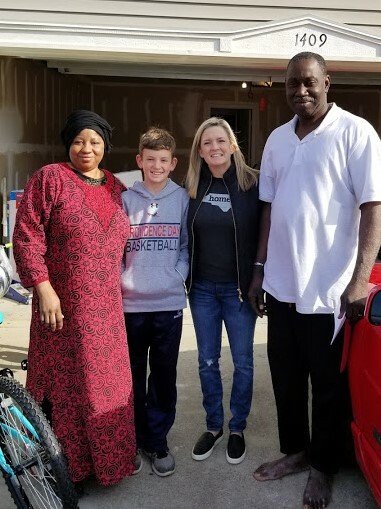 Prior to receiving this gift of a car, they walked miles and miles every day to get to and from work, to the grocery store, and for all of the other appointments and errands that a family of five needs to attend to. Most of us take for granted the cars in our driveways and the ease with which we can safely navigate around our city. This was not the case for Derrick’s family. Walking everywhere took up valuable family time and Derrick, who is a veteran, was even the victim of a hit-and-run while walking to the store one night. Now that they have reliable transportation, they feel that a prayer has been answered. We are so happy for Derrick and his family, and thankful for our donor whose gift will afford them the ability to continue on their path to stability. In addition, thanks to your continued support, we were able to pay for 6 months of car insurance and all taxes and fees for 2018 to ensure the family wouldn’t be burdened by the additional expenses. Thank you to Torie Ceven, and her camp "Making Miracles" at Providence Day School! They packed Weekend Food Packs and included notes to the children that receive the bags each week.